As Vice President of Services, Thomas Etheridge will oversee all service delivery associated with Crowdstrike’s Falcon suite of cyber-security products. 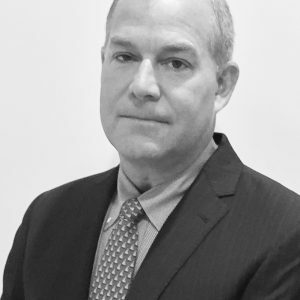 Thomas brings over 20 years of management consulting experience and over 16 year of executive services leadership expertise in the security industry specifically building world-class teams to support SIEM, Data-Security, Compliance, Breach Mitigation, SSO, DDoS and GRC solutions to market. After having spent 7+ years in KPMG’s Federal Services Practice in the 1990’s managing the delivery of program/financial management, business process re-engineering, strategic planning, and technology implementation services for a number of federal accounts, he was recruited to high-growth security companies such as Netegrity, Aveksa and ArcSight where his background in building, leading and managing high-performing services teams has resulted in explosive growth, industry recognition and successful exits for these market-leading companies. During his tenure at these organizations Thomas was instrumental in building global channel programs, operational controls, and in supporting the sales and delivery of impactful, adoption-driving solutions to some of the world’s largest companies and government agencies. Additionally, he has been an key contributor in planning/supporting corporate development initiatives including the acquisition and integration of complimentary technology companies into these organizations’ product and services portfolios. He joins CrowdStrike from Imperva, Inc. where he was vice president of global professional services and training. He received a B.S. in Criminal Justice Northeastern University in Boston, MA.